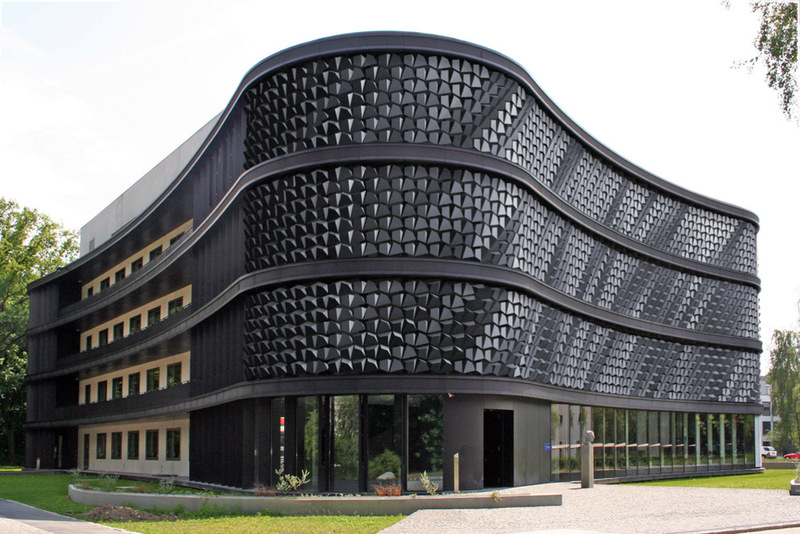 I found this company online that builds this mechanical facade system and thought it as pretty cool. Each of the “pixels” are moved by their own individual pneumatic cylindar. As they move, light reflects off them differently to give the illusion of lighting or darkening that single pixel. The entire system is computer controlled to create interesting patterns or animated visualizations. This is a link to a video on the FLARE website. I wanted to share this parking structure with you that uses Led technology to illuminate the facade. I thought this is relevant when discussing how technology influences architecture and structure design, similarly as some of the examples presented in class. This amazing façade was made by Ned Kahn… Just check the video out and enjoy!